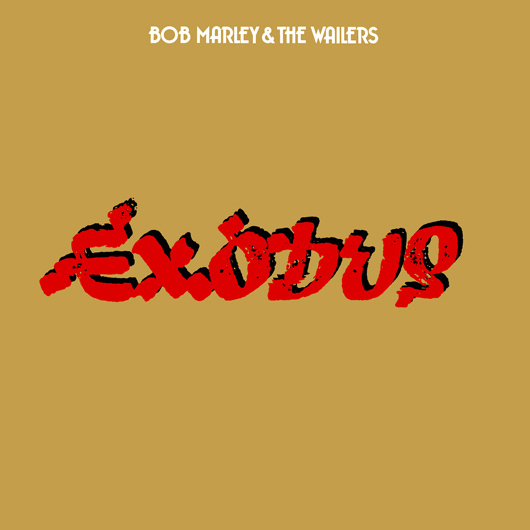 If any album could be declared Bob Marley’s masterpiece, it is Exodus. Recorded during a period of exile in London in the aftermath of a gun attack on Marley’s home in Jamaica, it was a musical statement of towering authority which combined visions of Biblical drama with profound expressions of solidarity and tender personal feelings. Released on 3 June 1977, the album housed a string of Marley’s biggest and best-loved hits: ‘Jamming’, ‘Waiting In Vain’, ‘Three Little Birds’, ‘One Love’/‘People Get Ready’ and, of course, the title track. 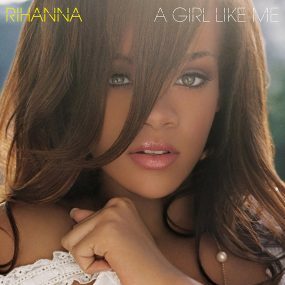 Time magazine pronounced it “the best album of the 20th Century”. Even before Exodus, Marley had become one of the best known figures in the Third World. As Timothy White noted in Catch A Fire: The Life Of Bob Marley, the reggae star was “quoted as a poet, heralded as the West Indian Bob Dylan, even the Jamaican Jomo Kenyatta [Prime Minister and founding father of post-colonial Kenya]”. This made Marley a key figure of power and political influence, whether he liked it or not, and, on returning to Jamaica after the Rastaman Vibration tour in 1976, he soon found himself caught up in events leading up to the general election of 15 December. The standing Prime Minister, Michael Manley, cajoled Marley into agreeing to perform at a free concert called Smile Jamaica, sponsored by the Ministry Of Culture, to be staged ten days before the election. Manley reasoned that this “Jamaican Woodstock” would help to defuse tensions on the street before the election, while no doubt hoping it would deliver him a significant propaganda coup into the bargain. Hostilities, however, remained high when, just after sunset on 3 December, two cars drove through the front gate of Marley’s home at 56 Hope Road and unloaded several armed men who attacked the house where The Wailers were rehearsing. Marley was hit by a bullet which creased his breast below his heart and lodged in his left arm. 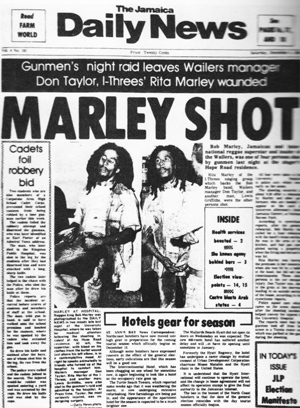 His wife Rita’s skull was grazed by a bullet that left her miraculously unharmed, while Marley’s manager, Don Taylor, was hit by five bullets in his lower body, which also somehow failed to kill him. The Smile Jamaica Concert went ahead at the National Heroes Park, Kingston, two days later, on 5 December. With the bullet still lodged his arm, Marley demonstrated exactly why his street name was Tuff Gong, as he and The Wailers courageously put on a 90-minute performance in front of an audience of 80,000 fans, which mercifully passed off without incident. The next morning, Marley flew out of Jamaica and would not return to his homeland for more than a year. After a period of convalescence in America, Marley and The Wailers convened in London to start work on Exodus in February 1977. Marley lived at various addresses in the capital, which was in the middle of a musical and cultural upheaval caused by the upsurge of punk. The Notting Hill Carnival riots of the preceding year had left a legacy of unease and unrest on the streets of West London, where Marley and The Wailers were based for much of the time, recording in Island’s Basing Street Studios. 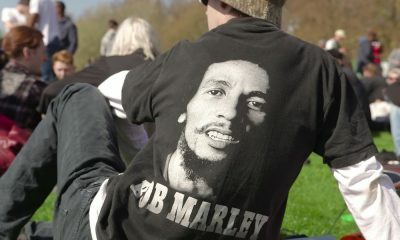 Marley played football in Hyde Park and hung out with musicians including Levi Roots and filmmaker Don Letts, who was closely associated with The Clash. 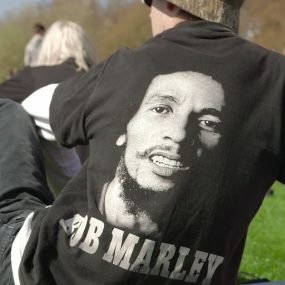 While his music had little in common with the abrasive, adrenaline-rush of punk, Marley shared the movement’s outsider perspective on society as part of an established order that needed to change. After The Clash included Junior Murvin’s ‘Police And Thieves’ on their first album, Marley wrote ‘Punky Reggae Party’, a song with a guest list which made his own allegiances abundantly clear: “New wave, new craze/The Jam, The Damned, The Clash/Wailers still be there/Dr Feelgood too,” he sang. 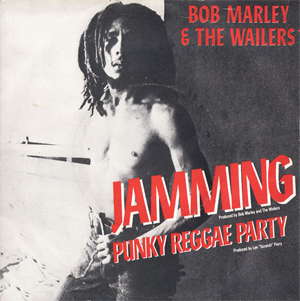 The number was released as the B-side to ‘Jamming’, which reached No.9 in the UK singles chart, confirming Marley as a key figure in forging the unlikely but enduring alliance between UK punk and reggae. The brush with death in Jamaica and the ensuing change of scene seemed to galvanise Marley creatively. “After the shooting, me never want to just think about shooting,” Marley told Vivien Goldman of Sounds. “So me just ease up me mind and go in a different bag. What me stand for me always stand for. Jah is my strength.” Marley was now tapping into the motherlode with new confidence and urgency. 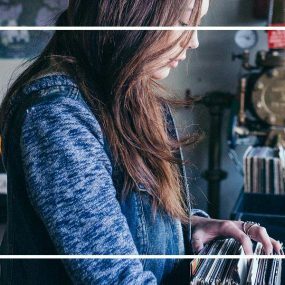 There were two distinct sides to Exodus – literally so, in its original vinyl format. On Side One the fire and brimstone was brought from simmering to boiling point as Marley offered a fiercely religious and politicised prescription for solving the ills of the world in a series of songs – ‘Natural Mystic’, ‘So Much Things To Say’, ‘Guiltiness’, ‘The Heathen’ – each more messianic than the last. 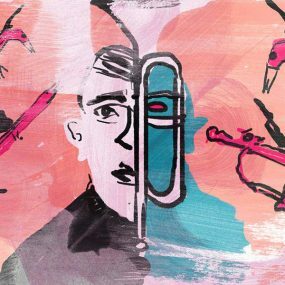 The side closed with the title track, a rippling, surging, seven-minute call to arms for a nation of displaced souls on the march to a new spiritual homeland. “We know where we’re going/We know where we’re from/We’re leaving Babylon,” Marley sang against a cyclical riff that was turned, like clay on a potter’s wheel, to perfection. Sermon over, the party kicked off on Side Two with ‘Jamming’, the song which would later inspire Stevie Wonder’s ode to Marley, ‘Masterblaster’. 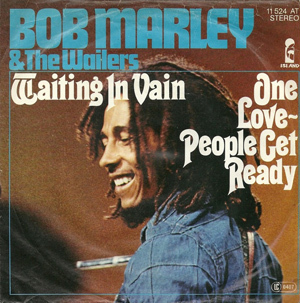 ‘Waiting In Vain’ was a yearning expression of unrequited love that emphasized Marley’s often-overlooked skill and sense of humour as a lyricist: “It’s been three years since I’m knocking on your door/And I still can knock some more/Ooh girl, is it feasible?” he pleaded. After the simple expression of optimism encapsulated in ‘Three Little Birds’ (“Every little thing gonna be all right”), the album ended with a reprise of The Wailers’ 1965 single ‘One Love’, an inspirational message of faith, harmony and solidarity now spliced to the Curtis Mayfield tune of ‘People Get Ready’. Exodus was a major hit in the UK, where it reached No.8 and stayed on the chart for 56 consecutive weeks. 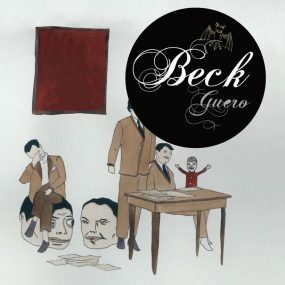 In America, despite an enthusiastic reception from press and radio, the album only reached No.20. It would probably have done better if the band had not been forced to cancel their tour of the US, due to an injury to Marley’s toe sustained while playing football with some journalists in Paris in May. Two shows (out of six) at the Rainbow Theatre in London at the end of the European tour were also cancelled because of the injury. It was the one troubling note at the moment of Marley’s greatest triumph. 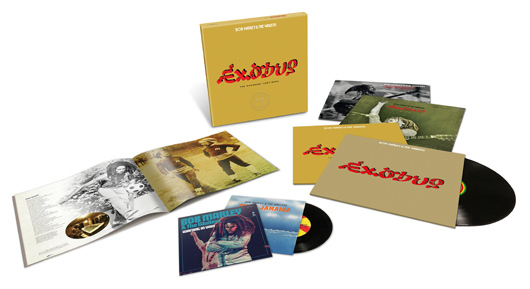 Purchase the Exodus 40: The Movement Continues super deluxe reissue here. Thank you,I did buy the L.P. at the time,great to see he is still remembered.He was wonderful and worked so hard when he was so ill. Please read on Repeating Islands :- A Death by Skin Cancer The Bob Marley Story by Dr. Cleland GoodingM.D.F.A.A.D. A gleaming soul in our tarnished world. 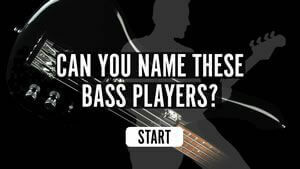 Bob Marley was and is the most recognizable, prominent Reggae artist of all time. Sadly, as human beings we fail miserably in following the teachings of this one fine man who held his love of Jah and the Jamaican people foremost in his existence. We’re still here, Bob, and we’re still trying to live up to your dream of a world without conflict. Rest In Peace, and Happy Trails Forever :-(. I have the album from its original release, I. was lucky enough to see him live in Concert at the Crystal Palace Bowl in 1979.He was brilliant. I have also been to his house in Jamaica.